Psoriasis is a noncontiguous continual skin problem which creates plaques of thickened and scaling skin. The extreme proliferation of the skin cells causes the dry flakes of the skin scales. The inflammatory chemicals created by the specialized white blood cells commonly called T- lymphocytes stimulate the propagation of the skin cells. The main body parts which are affected by this skin disorder are knees, elbows, and scalp. This is assumed to be an incurable long-term skin disease. It can either improve or worsen over a period of time. Psoriasis treatment in India is offered by numerous dermatologists, but you should consult the best one for this chronic disease. 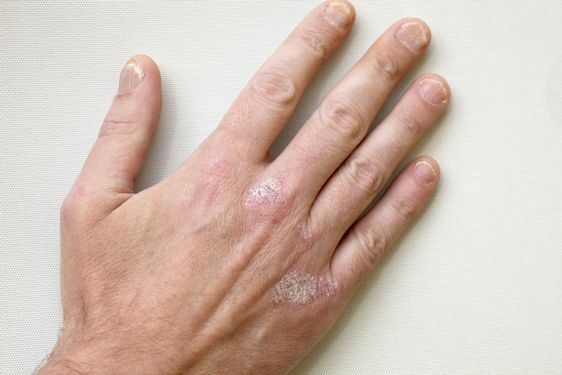 The signs and symptoms of Psoriasis contrast from one person to another. These symptoms are as follows. Although the causes of psoriasis haven’t been totally discovered, the doctors think this disease is related to the problem of the immune system. The T cells and other white blood cells which are called neutrophils in the body are assumed to be related to this disease. T cells usually travel throughout the body to fight against the foreign substances like virus and bacteria which enters the body. But if you are suffering from psoriasis, the T cells would fight against the healthy cells in order to heal a wound or defend the body against an infection. T cells which are overly active also boost the production of healthy skin cells, more T cells and other WBCs, especially neutrophils. Psoriasis treatment in India is also available in the form of Ayurvedic medicines which can be little helpful in relieving the people suffering from this chronic skin problem. But for an effective treatment, you should check with your dermatologist in mumbai. Generally, the psoriasis treatment involves medicines and lifestyle changes like exercising, minimizing stress. The treatment of this disease is provided by various dermatologists and skin specialist in mumbai or skin care centers. You should discuss your condition in detail with your dermatologist which would help in making a chart for the treatment at The Esthetic Clinics. Dr. Rinky Kapoor is one of the best dermatologists in the nation who can definitely help you in tackling your psoriasis.